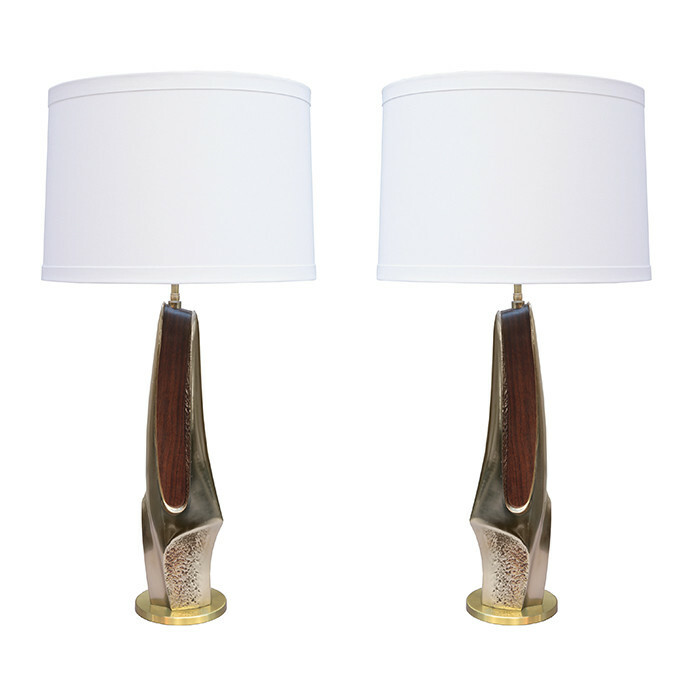 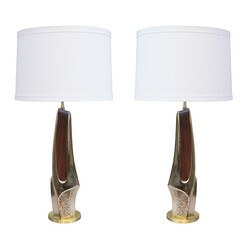 A pair of sculptural Mid- Century Modern table lamps by Laurel. Nickeled metal,brass mounts and base with faux wood detail. Dimensions: H:33 Shade D:17 Inches.